“Education is the passport to the future, for tomorrow belongs to those who prepare for it today.” – Malcolm X. With the dawning of Learning 4.0, this powerful statement is now more relevant than ever before. Before we unpack what Learning 4.0 is, let’s step back in time and watch how this learning evolution unfolded. I am fortunate enough to have been part of this learning evolution as I started my career within the e-learning Industry in the early 2000s. This was the era when corporations and training companies were interested in cost savings and improving their employees’ skill sets. Educational establishments wanted to mitigate the costs of sending material via correspondence and broaden their reach. With the boom of the IT and technology sector, there was also a need for skilled workers who could further this growth, and with computers becoming commonplace in the workspace the need for training on new technologies also arose. With the internet, LAN and email in full gear, the delivery was possible and some of the e-learning giants were formed due to the dot.com boom where investors were throwing money behind anything web related. During these early days, things were still a bit rudimental. The Learning Management System (LMS) was used purely as a delivery platform and the learning formats were basically course ‘catalogues’ or existing training manuals or educational books transformed into a digital format. It was commonly referred to as Computer Based Training (CBT) or ‘online learning’. In 2007, with the introduction of the iPhone and later in 2008 Android, internet-enabled devices rocketed the learning world into a new paradigm. In the mid-2000s the term ‘e-learning’ became established when Tim O’ Reilly promoted the idea at the O’Reilly Media Conference. Learning and Development (L&D) departments began to uncover the efficacy that e-learning could have in the workplace with regards to talent management. The focus was given to courses that were delivered around prescribed learner paths based on learner’s career tracks. The LMS was transformed into more of a talent management platform where employers, HR and managers could monitor the progress of the learner through tracking and implemented gap analyses to push relevant content to the learners. With the ascendance of Web 2.0, the web was more important than ever before with the power it held as a platform. Users could now control their own data through contributions, collaborations and creations on various platforms like forums, blogs, wikis and social media. This evolution changed how people interacted with information online. With the advancement of Macromedia’s Flash and action scripting, learning content took on a bold new format with never before seen levels of interactivity. Developers immediately took to the software’s flexibility and revolutionised the ‘rapid e-learning’ world with the inclusions of games, animations and higher-level complexity interactions. YouTube also made its entrance, bringing along with it the power of self-uploaded, easily deployed videos, adding yet another fresh dimension to the learning world. With all these incredible new media and technological additions to the e-learning world, blended and social learning became the hip new philosophy. In 2007, with the introduction of the iPhone and later in 2008 Android, internet-enabled devices rocketed the learning world into a new paradigm. Learners were no longer bound to a laptop or desktop computer or cumbersome keypad mobile phones. They now had access to information at their fingertips and could have the freedom to learn wherever and whenever they wanted, provided they had internet access. The launch of the of the Apple App store in 2008, signalled the beginning of the mobile era. This would be the beginning of a fundamental change in not only how learning content would be delivered, but also how it would be formatted and designed. These devices had multi-touch interfaces which mitigated the need for a stylus and keypads and heralded an entirely new approach to the design of navigation and interaction. The one size fits all approach is ineffective, costly and creates nothing but dissatisfied learners, but with all the incredible technological advancements, we are currently sitting with an abundance of learning solutions that can be customised to suit each learner’s situational need. This flexibility has created a learning environment where learners are able to immerse themselves whenever and wherever they choose. There has been a fluid shift from stiff prescriptive learning to learning where the learner is the protagonist and takes accountability for their own learning paths and upskilling. With the advancement of HTML5, content is developed to be adaptive to any device and through the advancements in Application Programme Interfaces (APIs) the learner is no longer even reliant on Wi-Fi. This means that content can be downloaded and stored on mobile devices and activities can be done offline. Once Wi-Fi connectivity is re-established at a later time, the data can be synced and uploaded automatically. There is no limit as to what media can be embedded, so learning content has become enriched with videos, animations, games, interactions, podcasts, QR codes and even virtual reality and augmented reality. With this mobile era, however, comes the interesting result of ‘instant gratification’ – time is precious. To keep in tune with this proclivity, learning content is being re-structured into easily digestible knowledge chunks otherwise known as ‘nano-learning’ or ’micro-learning’. The traditional LMS has also had to adapt to these behavioural changes, as the platform itself has become an integral part of the learner experience. It has become a virtual learning environment where learners can create their own world, with personalised dashboards and self-curated learner paths. The integration of engagement tools, such as chat functionality, sharing, liking, gamification and ‘mentor’ zones reflect the current social media trend. Learner data is beginning to have significant meaning for both employer and employee. Learners want to have visible and transportable credit for what they have learned, and employers want to see a visible ROI. Learners can now utilise peer benchmarks to perform their own skills gap analysis, and take action with recommended courses. Employers can also use the learner data as a talent management tool to earmark potential future leaders. 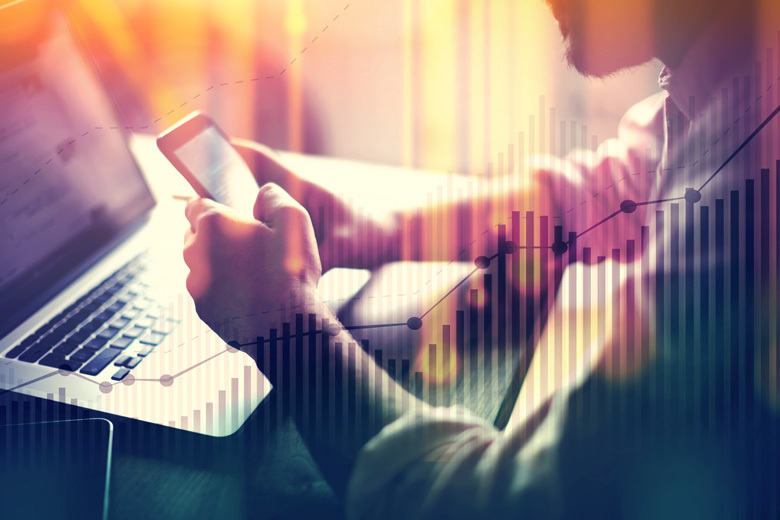 With the latest introduction of algorithms, like Axonify, employers can also track the effectiveness of the training and the behavioural change within their organisation and adapt if necessary. In order for mankind to be prepared for the rapid approach of ’4.0 scenarios’, the biggest being Industry 4.0, the digitalisation of education is paramount. This is known as ‘Learning 4.0’. It is an era of alignment between man and machine that will enable new possibilities on levels that were only ever before depicted in sci-fi films. People will start communicating with machines instead of just operating them, creating a beautiful hybrid of the Internet of People (IoP) and the Internet of Things (IoT). According to this report by the World Economic Forum, “65% of children entering primary school today will ultimately end up working in completely new job types that don’t yet exist”. There are many drivers influencing this change; the immense globalisation of teams, artificial intelligence, and new media. Our current method of learning will no longer be effective. Considering the speed of innovation happening in the tech space and the ever-changing nature of the industry, education has to keep up its pace to keep people informed, upskilled and employed. Learning has to be deconstructed and reconstructed in order to be the most flexible it has ever been, luckily for us, technology is on our side. So just how do we actually ’future-proof’ ourselves? We need to shift to more interactive, immersive and collaborative components that can adapt to our personal learning needs – this is where man and machine become symbiotic. In this article about Learning 4.0 by Peter Fisk, he discusses the trends that we will see coming out of this evolution. The two trends that stood out for me the most were personalised learning and the diversity of learning. Imagine an intuitive learning platform that adapts your learning path as you grow; a platform that communicates with you, pushing relevant learning content to you each day based on your current situation. This is where the IoT and IoP communicate and combine data through artificial intelligence to personally deliver relevant learning solutions to you. Career learning paths could be specifically tailored based on your aptitudes, interests and locations, and identify future skills, that does not even exist yet, for jobs that don’t even exist yet. All of this content will be available to you at any time on any connected device. The power of your personal data will help formulate your learning path instead of the archaic rigid prescribed approach. The second trend that I identified with was the shift from the theoretical content out of the classroom, with a focus on more practical training, either face-to-face or through interactive solutions. There are already multiple methods in which to prepare the workforce for a workplace that will continuously be disrupted by new technology, by imitating real-world processes. Virtual learning environments (VLEs) are not new, but with the advancement of new media such as Virtual Reality (VR) and Augmented Reality (AR), and now the combination of the two ’Mixed Reality’ practical training will become a far more viable and cost-effective option. 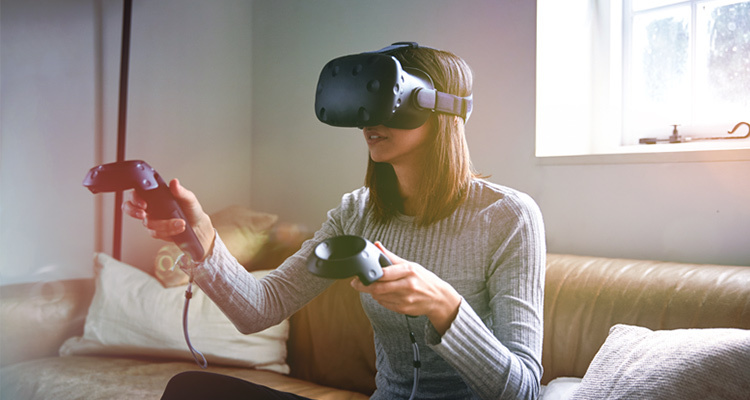 The power of VR is that it replicates real-life scenarios and situations in a virtual ’safe zone’, where learners can interact whilst mitigating the real-life hazards and without inflicting any real damage. With the use of Virtual Reality glasses and touch controllers that create intuitive actions within the VR, training can happen within a 2×3 meter area. 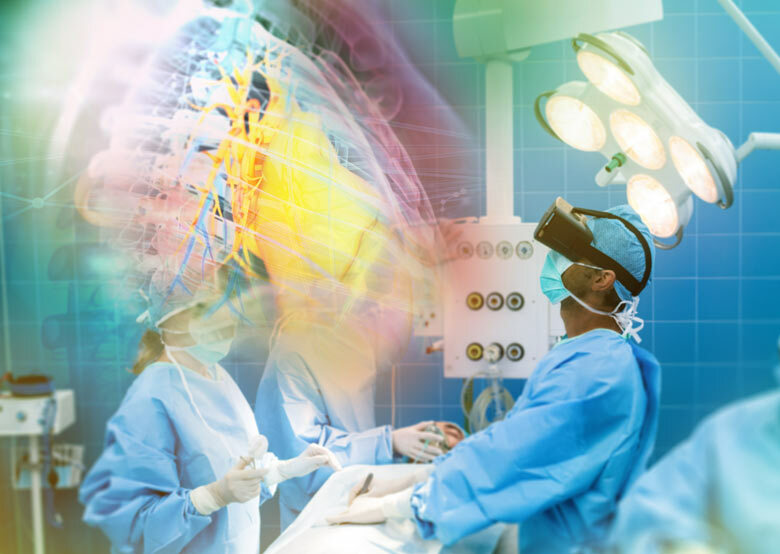 With one single VR experience, training can happen simultaneously across different locations, creating standardised content for global teams or learners. With this digitisation, training can be evaluated in real-time with embedded analytics and repeated until the requirements are met. Clearly, we are at the beginning of the dawn of Learning 4.0 even though we still need to overcome a few pitfalls in terms of cost and technology for a mass rollout, but there are innovative companies already embracing this training. Industry and Military have been the early adopters of this training technology and retail giant Walmart is using it in a different way to train their staff in situations that are difficult to re-create, such as dealing with spills or the crowd chaos during Black Friday. The appealing part to me is that any situation can be recreated and learners can be immersed in the scenario instead of learning hypothetically. This will also be applicable in the Education sector, where students can learn real-world skills and gain ‘field’ experience, preparing them well in advance for the corporate world. Here at TTRO we are very enthusiastic about these new educational tools, tools that will empower a new generation of individuals with richer competencies to face the future. No-one can predict the future and what new technology can emerge within the blink of an eye, but I think we can all agree that it is going to be a very exciting ride – we are thrilled to be part of this evolution.